The Department of Homeland Security has mandated inspection for people and freight at all border crossings. But constructing conventional buildings to serve as inspection stations can be an expensive proposition. Shelter Structures, Inc. offers a cost-effective alternative-tensioned fabric security shelters for security inspections. Our security shelters can be custom-built to your specifications. 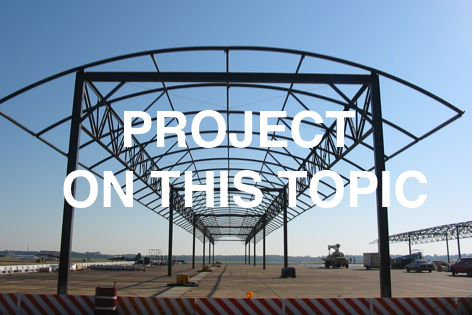 We’ll provide you with recommendations for size, shape, and materials, ensuring that the shelter meets your objectives. From the time you place your order until the shelter is installed and fully functional is usually just 4-6 weeks. Our custom-designed security shelters will provide effective weather protection for people and equipment at an affordable price. 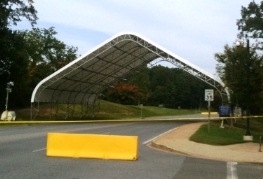 Contact Shelter Structures, Inc. today to discuss your security inspection shelter needs.